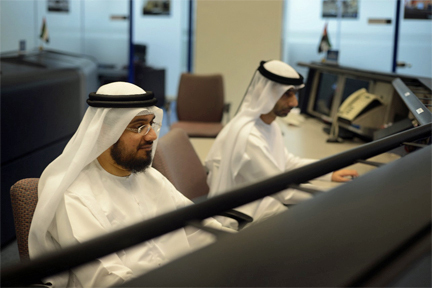 [SatNews] Thuraya Telecommunications Company and the Dubai Police have announced the launch of the Thuraya SOS service. With immediate effect, Thuraya XT handset users in the region can send a pre-programmed SMS with their GPS coordinates to the Dubai Police in times of distress or emergency. The service is crucial for users who are lost or require emergency care when in remote areas such as the desert or at sea with limited or no connectivity. Thuraya XT handset users can program up to four numbers as emergency contacts, including 1199, the emergency number of the Dubai Police, in the Thuraya SOS application on their handset through the “helper” function. To activate the service, users only need to press the soft key on the right side of the keypad of the Thuraya XT for two seconds and the application will send GPS coordinates to Thuraya’s Primary Gateway office and then to the Dubai Police to flag their emergency.